Every day, every event, every moment in life is part of a physical, emotional and spiritual journey. As with any journey there are mountains, obstacles, bumps and bruises we accumulate along the way. For most of us, there are also the more dramatic events, that can be harrowing, life changing. The immediacy of communication, where war, tragedy, and violence is reported live also wears on us, in addition to what each one of us faces in our personal life day to day. As a society we have gotten better with the language of grief and addressing the spirituality of loss, but there is so much more that we need to recognize to heal. At our core, beyond religion, beyond the teachings and creeds of our faith is our human spirit. It is here in this internal dialogue that we use to make sense of life and the events that affect us. It is here that we have our own judge and jury – our conscience. Very few of us share this core self, where we hide our doubts our anguish, our hopes and our fear and our inadequacies. We may let loved ones and friends have a passing glance at this core self – but for the most part – it stays hidden. We have just scratched the surface of understanding traumatic stress and post-traumatic stress experienced by soldiers and have come to understand that any trauma can have lasting effects. Coupled with that trauma is often a wounding of the spirit. A point where we are crushed and lost in the depth of pain that may call all that we believed and know into question. These events cut us off from our self – we lose energy and, like Moses, we wander in the wilderness – alone in our despair, even as we try to go through the motions of life. For some the trauma is paralyzing and they are unable go on as before. For others, it is a weight they carry day after day. This spiritual and emotional pain we carry is real, especially for those affected by war and any type of trauma. But it also affects those who are first-responders and witness tragedy first hand. It affects those who work with the sick and dying. Others deeply affected are those who have been a victim of violence or abuse. Past generations coped in silence and like them we long to find healing and hope. 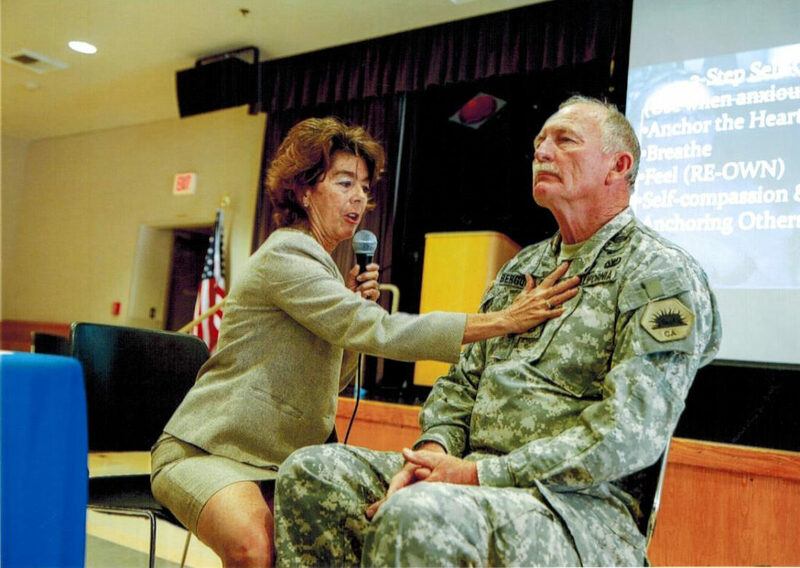 Deborah Grassman, a nurse practitioner with more than 30 years of experience in the VA, has taken what she has learned about soul injury from her encounters with veterans and created a program to help promote healing of the soul. Throughout her tenure she has come to understand what fear of emotional pain, unmourned loss and unforgiven guilt and shame can do to the spirit and what can help restore the soul and spirit. We all carry some scars and need healing or know someone who does. On May 22, Deborah Grassman will be in at Canterbury United Methodist Church in Birmingham to present Soul Injury: Liberating Unmourned Loss and Unforgiven Guilt. The program is free and open to the public. The program is sponsored by Comfort Care Hospice and Opus Peace. Registration begins at 4:30 and the program begins at 5:30 p.m.
To register for this free event go to comfortcarehsopice.com/events.